The third, and last, name partner in Rothstein Rosenfeldt Adler, the Fort Lauderdale law firm that conducted a billion dollar Ponzi scheme, has been arrested, and charged with conspiracy*. Stuart Rosenfeldt is cooperating with the authorities, who have already scheduled a change of plea hearing for June 11th. A criminal Information initiated the case, which is a signal to the Court of the defendant's cooperation. Attorney Rosenfeldt was involved in the firm's campaign finance fraud program, as the firm's check kiting bank fraud, and also in obtaining the assistance of Rothstein's local police officer associates, who made sure that a prostitute involved with Rosenfeldt was forced to leave town, when her boyfriend threatened to expose Rosenfeldt's vices, which constituted a civil rights violation. An additional indicator of cooperation: the defendant has no restrictions on travel; he is not limited to the Southern District of Florida, and has, in fact travel plans out of the state. His counsel admitted that he has a substance abuse problem; this is usually disclosed early on, lest the Court remand him into custody, when drug tests come back positive. Being that the defendant is 59 years of age, he will now have the opportunity to clean up his life while serving his sentence, as the Federal Bureau of Prisons will surely place him in the appropriate program. I am sure he wasn't alone among the partners at that firm, in engaging in high-risk activities. 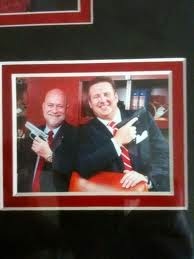 Mr. Rosenfeldt was paid $6m during the last full year that the Ponzi scheme operated, according to government sources. With his arrest, all the principal players in that law firm, both lawyers & non-lawyers, have been charged. * Case No. : 14-cr-60120-MGC (SD FL). 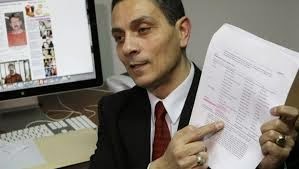 In a sometimes rambling pleading, captioned "Comment," Richard Chichakli filed an extensive list of what he alleges were negligent acts of his court-appointed standby counsel, Marlon Kirton, committed both in preparation for, and during his criminal trial. The defendant, who chose to represent himself Pro Se, is seeking a New Trial, Pursuant to Rule 33. Standby counsel, however, is appointed to assist defendants who choose to be their own attorney, and only on a limited basis, to navigate procedural and technical matters. He is not trial counsel. (1) The defendant wanted a Speedy Trial, but Kirton asked for, and received, additional time to review the extensive discovery on the case. (2) Counsel's visits interfered with the defendant's religious observance of the Sabbath. (3) Counsel failed to demand production of the required discovery within the 30 day period. (4) Counsel did not devote enough time to trial preparation, and only visited the defendant after business hours, when he was on his way home. Counsel promised that he would spend more time working on the case, with the defendant, when it got closer to trial, but failed to do so. (5) Counsel failed to subpoena defense witnesses. (6) Counsel failed to make proper use of court-allocated human resources, namely experts. (7) Counsel failed to testify personally, at trial, about what the defendant describes as illegal payments* of money and of other items, made to him, and Viktor Bout, by the United States, notwithstanding that he was sanctioned by OFAC. Of course, one cannot act as counsel, and also testify, in a criminal proceeding; Mr. Kirton would have been required to withdraw first. Every defendant is entitled to competent counsel, but in this case, the defendant represented himself, and only had counsel for procedural matters. He cannot have it both ways; if he wanted counsel to work up his defense, and try the case, he should not have represented himself. Somehow, it looks like someone other than Mr. Chichakli is preparing these pleadings, and they do not have a legal education. Using jailhouse lawyers is generally unwise, and ineffective, from the results that I have witnessed. It is axiomatic that one simply cannot blame standby counsel for not trying a case where he was only appointed to assist, not represent, the defendant. Does Richard Chichakli simply want to retry his case, now that he is familiar with the government's case, this time using a full-time lawyer ? We cannot say, but it's a good guess. * It would be interesting to learn the details of cash payments, and the delivery of other items of value, to Chichakli, and probably Viktor Bout, by US Government agencies, while OFAC sanctions were in effect. This sounds like Chichakli's efforts to expose operations that he and Bout engaged in, for the United States, where certain agencies do not want those details to be made public. This comes back to the original issue,; just how extensive was the work performed by Viktor Bout, and Richard Chichakli, for America's intelligence community, and what exactly did two known arms traffickers do for the United States, and where ? WHY IS MIAMI'S INTERCREDIT BANK UTILIZING REPUTATION DAMAGE CONTROL TECHNIQUES ON THE INTERNET ? A Latin American money service business, with a claim* against Ecuadorian-owned Intercredit Bank, N.A., of Miami, Florida, has brought an interesting development to my attention. When the officers of the MSB attempted to access information regarding the prior regulatory actions taken against the bank, they ran right into 23 pages of websites, many of whom were exact duplications of other sites, or that lacked any serious content. In short, they were forced to wade through what I refer to as garbage and fluff, which is specifically designed, by hackers, to so pack Internet search results with nonsense, that the searcher gives up after a few pages, and never gets to the negative news he or she needs to see to make a compliance decision. Even an article about the bank's problems with undercapitalization did not show up until page six of the search results, and the truly negative information was way in the back of the line. Only the most persistent searcher would locate those web entries. You know what this; it is reputation damage control, or reputation restoration, the sordid practice of placing so many obstacles in front of an searcher, that the truth is rarely, if ever, located. Now, when a corrupt Venezuelan PEP, who wishes to hide the stories about his reputed drug trafficking, or money laundering, uses these "services," I understand his motives. What I do not understand is why a commercial bank would stoop to using methods that are the hallmark of those with something very dark to hide; We expect total transparency in our financial institutions, in both the letter, and the spirit, of the law. Hiding your blemishes is unbecoming if you are a bank. Compliance officers are having enough trouble dealing with reputation damage control tactics employed by individuals who are involved in financial crime; if we cannot trust our banks to play by the rules of polite conduct, then we will be forced to evaluate banks that we deal with, on a risk-based compliance regime, and some will be judged off-limits. * The MSB asserts that the bank has defaulted in a business relationship, and thereafter failed to return certain securities that were delivered to senior bank officers in good faith. I will report on this matter in detail, only when it becomes a matter of official record, and I can quote from, and cite to, court filings. WILL PROPOSED US MISSILE DEFENSE SYSTEM IN KOREA RAISE COUNTRY RISK IN NORTHEAST ASIA ? The United States is said to be considering the deployment of a missile-defense system in the Republic of Korea, to protect its ally against North Korean weaponry. As expected, China has vehemently objected to this proposed plan, bluntly warning that it would upset the balance of power in Northeast Asia. Remember how the Russian Government reacted to the American plan to post missiles, and radars, in Eastern Europe, to protect NATO from Iranian missiles ? 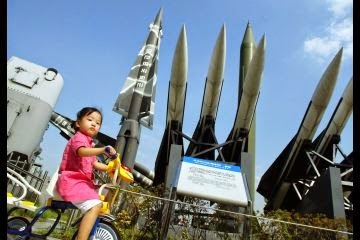 If the US goes forward with its plan, expect to hear even more complaints from the Chinese, as well as North Korea. While sending the missiles to South Korea is prudent, it will probably raise Country Risk for both Koreas, and possibly China, if it responds by moving military assets into its territory adjacent to the Korean Peninsula. If you read my recent article* about how Venezuelan hacker Rafael Nuñez-Aponte, a/k/a RaFa, a specialist in hiding online negative information about corrupt Venezuelans, and their crimes, crossed the line by inserting libelous segments about two Opposition advocates, into an InfoBAE article that named the worst corrupters in the Maduro regime, there is some good news. After numerous requests, which delivered information that proved the information inserted about him could not possibly be true, as it could not have occurred, InfoBAE did remove the disinformation about Thor Halvorssen. The hacker's target, former Venezuelan Ambassador Thor Halvorssen, a cabinet-level minister in a prior democratic Venezuelan government, and a prominent opponent of the Chavista regime since it came to power in 1999, is one of the country's leaders in exile. 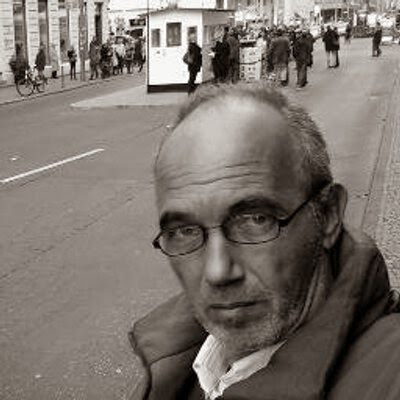 The placement of disinformation about Sr. Halvorssen was made solely to destroy his credibility with Venezuelans, and was obviously placed there by Nuñez on the orders of powerful PEPs who do not want to be removed from power, lest their ability to bleed Venezuela come to an end, and they be tried for Crimes against the State. Nuñez, whom I understand is attempting to gain the ability re-enter the United States, notwithstanding his deportation after a felony conviction for hacking US military computers, deserves to be punished for seeking to malign one of Venezuela's best-known patriots. He obviously did not learn his lesson the first time he was imprisoned for computer crime; seven months of incarceration was insufficient. Perhaps the next time he comes up for sentencing, he will receive the appropriate punishment. I do blame InfoBAE for failing to conduct fact checking, before publishing the article. Anyone with even a rudimentary knowledge of Venezuelan politics knows who is a corrupt "Bolivarian," and who is an official, or even unofficial, member of the Opposition. All reputable media vet their information before it is released to the public. That is what we call malpractice in journalism. The lesson here for compliance is that even authoritative, trusted publications should not be solely relied upon for an item of major negative information. Always get at least one other source, well-known to you, and proven to be not just accurate, but objective, to confirm your information, when it is negative. 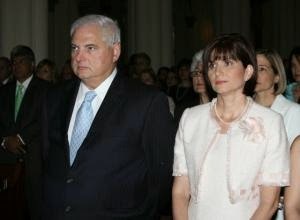 Reports from Panama City state that President Ricardo Martinelli's quest for asylum has been denied by the Government of the State of Israel. Apparently, the fact that criminal charges for corruption are presumed to have already been filed against him in Italy made his asylum request problematic, though some observers believed that he would be allowed into Israel. Panama has has extremely friendly relations with Israel throughout Martinelli's tenure as president, including the only 'no' vote from a country in Latin America, regarding the upgrading of the Palestinian Authority to observer status at the United Nations. 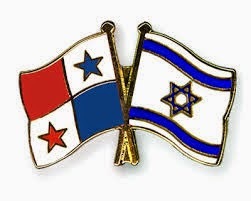 There was a terrorist bombing in Panama, by terrorist operatives, immediately after the Hezbollah/Iranian bombing of the Amia Jewish Center in Buenos Aires in 1994, and Panama & Israel have had a close relationship in recent years. (b) The corrupt criminal justice system will not assist him, because the police and/or the prosecutor have already been paid off by the fraudster to bury any complaint. (c) If he wants to stay in his own property, he will have to pay rent to the fraudster. (2) The second method involves outright forgery of stock certificates and other interests. In that case, any instruments given to the fraudster by the victim, form the basis of forged assignment of bearer shares, bills of sale, corporate resolution, and other closing documents. 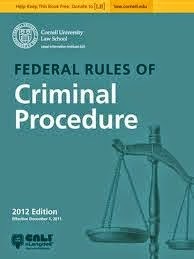 Again, any efforts by the victim to seek legal redress through the court system is frustrated by files intentionally lost at the police station and the prosecutor's office, bogus counter-charges filed by the fraudster's lawyers, and other intentionally dilatory tactics. There are no statistics on how many expats have lost their real estate investments to these scammers, but it certainly numbers in the hundreds, if not more. 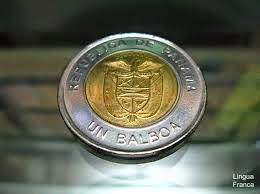 Most victims, having experienced the dark side of Panamanian justice, do not engage in further investments, especially after their attorneys give them a quick tutorial on the corrupt civil court system, where cases can languish for a decade, unless corrupt Supreme Court of Justice judges are paid off. 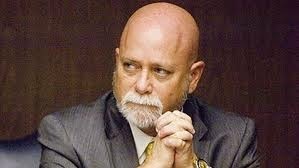 One of the most active fraudsters in the Republic of Panama, according to his victims, is Gary James Lundgren, whom we have covered here before, due to his curious partnership with Panama's President, Ricardo Martinelli, and his relationship as the "investment advisor" to David Eduardo Murcia Guzmán, the convicted Ponzi schemer. Mr. Lundgren has reportedly defrauded a large number of purchasers of the Bellagio Tower, by forging documents, and illegally taking title to the real estate investments of others. Now that his "godfather," President Martinelli, is about to leave office, you will see that a number of the pending lawsuits against Lundgren, by victims, will move forward. 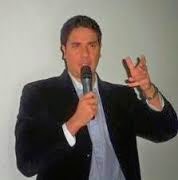 The role of his in-house attorney, Alcides Peña, in Lundgren's fraudulent activity, is being examined, as his widespread use of obviously forged documents, and documents that are inconsistent on their face, raises the issue of his culpability in these frauds. The new president of Panama, who has vowed to attack corruption and white-collar crime, will hopefully see to it that bearer share fraud is vigorously prosecuted. His pleas for asylum having fallen upon deaf ears in Portugal & Spain, President Ricardo Martinelli is, according to reliable Panamanian sources, en route to Israel, where he hopes he can be granted some form of asylum or citizenship. He is desperately seeking to avoid that Italian indictment for corruption, and the prison term that comes with it. He is reportedly claiming that a Lebanese organized crime group, headquartered in Latin America, is looking to do him harm, and he believes that Israel will take the threat seriously. There are rumors that Martinelli actually cheated a senior leader in that group out of an expensive condominium in Panama City, and that is the reason that he has been targeted, but he is alleging that a terrorist group wants to kill him. Whether Israel buys into it, I cannot say, but I would prefer that justice be served. Otherwise other Latin American leaders will be encouraged to lie, cheat and steal from their own people, and believe that they can get away with it. As we have previously stated*, The proliferation of so-called reputation damage, or reputation restoration, companies has caused a sea change in traditional compliance due diligence. One can no longer trust the Internet to supply the necessary negative information about compliance targets, employing ordinary due diligence procedures. How on earth did this happen ? Though reputation damage repair has been available for some time, its previous clients were Fortune 500 companies, or financial institutions, that had taken a hit, due to some instance of misconduct, regulatory action, litigation, or other adverse event. Unfortunately, this has now changed. (1) Enrolling their clients in a wide range of social media websites, and posting positive information about them therein. (2) Creating what I call fluff websites, containing photographic, news, or other irrelevant content, totally unrelated to their clients, to load up the first ten pages of anyone's search results. (3) Posting bogus blogs, or other content, using their clients' names, but posing as others with the same name, to totally confuse the parties searching for their client. How can you now be sure that any negative information you find does not belong to the other John Does who have websites ? This is clever disinformation, what we call confusion to the enemy. (4) Dumping large numbers of inane postings on the web, to drive any real data far to the end of your web search. Most Internet searches return by relevance, and lazy web-searchers rarely access the final pages. (5) creating websites that favorably reference their clients, to humanize him in the reader's eyes, which is intended to potentially plant major seeds of doubt about the authenticity of any negative information. (6) Posting information that raises the issue that the clients were charged with crimes for purely political motives, and not because they were culpable. (7) Shooting the messenger; posting extremely damaging information, which is generally false, about all parties who have accused the client of criminal conduct. (8) Placing libelous information upon legitimate websites that cater to complaints about misconduct. (9) Hacking into authoritative sources, and dumping negative information about the clients' adversaries or whistleblowers, into it. Therefore, your ordinary due diligence searches have a real chance of failing to return the negative information that is out there, and since your commercial-off-the-shelf database did not have the client listed, due to his minor status, you admit the individual as a bank customer. In truth and in fact, he is truly a career financial criminal, with arrests on the other side of the world, but you did not catch it. (2) Increase your investigative level to enhanced due diligence for all targets. frankly, I doubt that you have either the budget or the staff to conduct this, and even if you do, your directors may not agree to the increased costs, and expanded use of staff. Thus, in my humble opinion, it is time to change the way that you perform due diligence, lest you admit financial criminals clever enough to have engaged a reputation damage firm early on, to deceive you, both now, and in the future. Watch yourself here, and discard routine due diligence compliance, lest you miss catching someone you cannot afford to onboard. Education is power: my generation, known as baby boomers, meaning that we were born just after the Second World War, knew that learning is not a straight line to a vocation. Though the days when a university education started with an undergraduate degree in liberal arts, and ended with a graduate degree in business or economics, or a law degree, may be over, due to the increased cost of an education. That being said, compliance officers must have a certain level of competency in the areas of geography and history, in order to perform their jobs adequately. 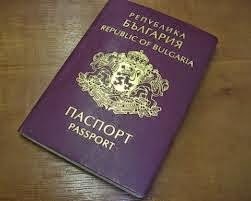 (1) A major new bank client you are vetting has a passport from Bulgaria, an EU member state. The place of birth of the client, however, is one of the principal cities in Russia. If you were not familiar with the name of the city, you would not know that what you are holding is an economic passport, and that your client is not an ethnic Bulgarian. Risk levels should be elevated for this client; who exactly is he ? (2) The client has presented, as proof of identity and nationality, a passport from British Honduras. If you do not know your history, you may miss the fact that the jurisdiction not longer exists, and you are holding what is referred to as a camouflage passport, which is a nullity. 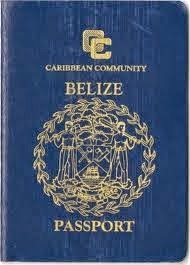 The country, known as Belize, was granted full independence in 1981. This is a fraudulent effort to obtain an account relationship. (3) The client who says he is from Cyprus, presents a valid passport from the Turkish Republic of Northern Cyprus*. Do you know enough EU history to be aware that this jurisdiction has not been recognized, apart from Turkey, and that only the Republic of Cyprus is an EU member ? Additionally, The Turkish-occupied area of Cyprus has more than its share of money laundering and organized crime. Would this be a money launderer perhaps ? Compliance officers must have a good understanding of geography, as well as history of the modern era, to identify potential high-risk customers, to interdict fraud on a real-time basis, and to know when something is not right with the applicant. 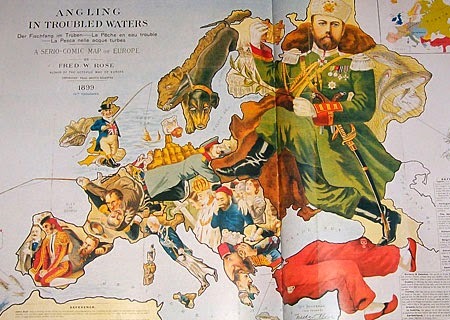 That means that he or she is also familiar with all the known tax havens, high-risk jurisdictions, and issues related to what is called political geography, or geopolitics. 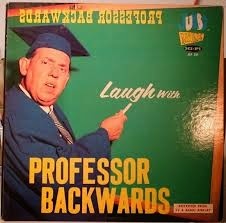 You do not get that with a business degree, it comes from having a well-rounded university education, an inquisitive nature about the world around you, and the drive to fill in the blanks whenever you see something that might be wrong. To sum up, compliance officers may not need to be renaissance men and women, but they must have a basic grounding in both geography and history. Otherwise, they will fail to make associations,like the ones I have shown above, and people who should not have account relationships, will make it past the gatekeeper. 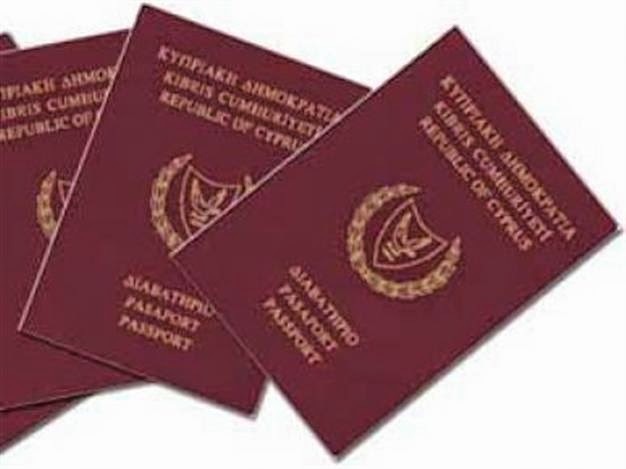 * Abbreviated as the Cyprus Turkish Republic; the passports are not valid for any purpose in the EU. IS THE NEXT FOREIGN BANK DUE TO BE CHARGED WITH MONEY LAUNDERING VIOLATIONS A VICTIM ? Rumors are flying in the media, to the effect that a certain foreign bank, whose headquarters is in Europe, is going to be indicted for massive money laundering deficiencies. Before anyone, thinking that the Department of Justice is taking a purely political action here, to respond to the calls for more effective enforcement of AML/CFT laws, let me clue you in to the reality: the bank should be charged. From time to time, and without any warning, I am contacted by competent compliance officers at financial institutions, who seek my counsel, especially when the advice that they give the directors at their bank falls upon deaf ears, and they fear regulatory action. I had such an experience regarding the Miami branch of the bank whose name is being passed around, as the next to be charged with criminal conduct. The officer's concerns, detailed to me over a number of meetings and telephone calls, gave me a complete picture of a financial institution that has a program which relegates AML to a backseat, regarding lucrative banking profits, even when the suspicious activities rise to a level that even an intern would question, as trumping compliance. In essence, the bank's compliance leadership, whether it be in New York or Europe, dismissed the compliance officer's concerns, demonstrating that customer relationship managers, even when they dealt with customers from high-risk jurisdictions, call the shots, because they were working in a profit center. AML compliance is only window-dressing, and is generally ignored at the bank. This is unacceptable, under our banking best practices standards, and the bank's leadership knows this. Therefore, please understand that there is nothing political about what is going to happen, and it is richly deserved. If I was in one of the relevant regulatory agencies, I would initiate charter revocation proceedings. Panama's President Ricardo Martinelli, away on his 89th overseas trip, purportedly to watch a football game in Lisbon, is in reality searching desperately for a country that will take him in, and shield him from the major corruption charges waiting for him in Italy. His term as president expires in a little over a month. 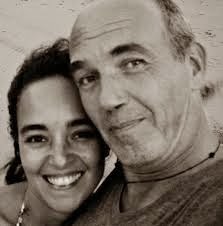 Sources in Panama indicate that he is going to ask for political asylum in Portugal, Spain, and possibly Israel, for himself, and his family, including his grown sons, who are also alleged to have profited handsomely from their father's official position. It is difficult to imagine that any EU government would accept him, under any conditions of asylum that would prohibit his extradition to Italy. He has made much of the "death threats" against him, attributed the a number of female political figures, but these unverified claims hardly raise to the level where he could claim political asylum, and he does have dual Italian citizenship. He may have to face Italian justice, after all, for accepting millions of dollars in bribes and kickbacks, for giving large contracts to a government-owned Italian company. 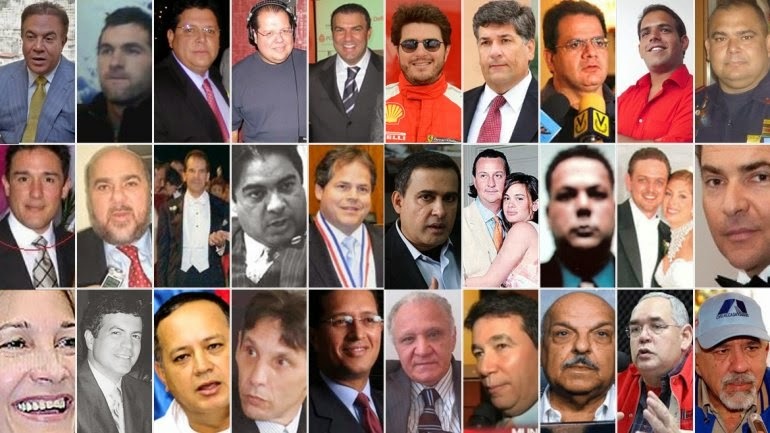 WHO WILL BE INDICTED FIRST IN PANAMA, AFTER MARTINELLI EXITS ? Things are heating up in Panama, and it's not the weather. Outgoing President Ricardo Martinelli says he's staying in the country, but all indications are that he will be formally charged with corruption by Italian prosecutors. His departing ministers, who have had their US visas cancelled, are all exposed to insider trading charges, in the unfolding Financial Pacific scandal, especially since new and damaging evidence has emerged of late. Will they be charged ? Martinelli, who has charged that certain female members of his political opposition have threatened him with death, has obtained the passage of legislation that provides for permanent security, for him and his family, after he leaves office. His efforts to secure lucrative government contracts, for a company associated with him, have reportedly failed, but he continues to seek illegal economic advantages, even as his term is expiring, and his popularity has sunk to a new low. As to who will be the first to be charged, my humble opinion is that it will be his business associate, the American expat, Gary James Lundgren, who has been under investigation by US law enforcement and regulatory agencies, for some time. Now that new damaging information, about how he allegedly provided assistance to senior Panamanian officials, including Martinelli, has surfaced, in my humble opinion, he will be the first to fall. Neither of Lundgren's Panama City securities firms, Global Finance & Investments, SA, and Global Valores Inversiones, SA, are licensed to sell securities, according to the records of the National Commission of Securities. He appears to have been the principal actor in the Financial Pacific insider trading scandal, and since the actual records of international wire transfers of illicit profits have now been made public, the hammer is sure to fall upon him, whether it be the US Securities & Exchange Commission, the Internal Revenue Service, which is also reportedly investigating him, or Panamanian authorities. Who charges him first is anyone's guess. Also, we should not forget that he allegedly laundered cash received from the convicted Colombian Ponzi schemer, David Eduardo Helmut Murcia Guzmán, and he is being sued, in civil court in Panama, for stealing bearer shares of corporations owned by his clients, and engaging in conversion of of their real estate holdings. We shall continue to keep you updated on the status of financial crime in the Republic of Panama; stay tuned. 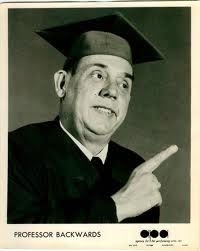 THE FORWARD TO MY BOOK, "THE LAUNDRY MAN"
I recently came upon a faded manila envelope that had been mis-filed on some real estate documents. it was sealed and bore a handwritten note. Accompanying it was a letter from the condemned man's sister, asking him to cooperate and deposit half a million dollars into a bank account. Inside the envelope was a handwritten letter with a passport and banking details. I took the discovery of the document to be a sign. Rather than let such slices of life fade away, I thought it was time to tell my story. Only the names have been changed, but not to protect the guilty - they are mostly deceased or disappeared. Their identities are marked to spare their families the pain of revisiting those losses. Of course there are still those who have never felt the hand of justice. Those few are legitimate, and even affluent, but they still fear the knock on the door in the middle of the night. I have no wish to disturb their troubled sleep, for they may then disturb mine. This week's most important scandal, if you are involved in compliance, is the disclosure that a Caracas reputation restoration firm has hacked into a legitimate newspaper article, and placed disinformation into it, for the purpose of misleading readers. 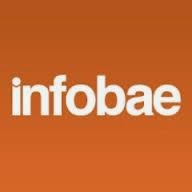 The authoritative Argentinian newspaper, InfoBAE, which some of you may remember has covered yours truly in the past, when I have lectured in Buenos Aires, has disclosed that a leading article it published, identifying the major corrupt Venezuelan PEPs, has been hacked, and two prominent Opposition figures, a former diplomat, and a journalist, who have no part in corrupt activity, and are actually expats, were placed on the list. This disinformation, according to InfoBAE, which is intended to mislead and slander, was conducted by the Venezuelan reputation restoration firm owned by Rafael Nuñez-Aponte, whom we have exposed in a recent article* detailing how compliance officers performing due diligence can work around the Internet garbage that reputation restoration firms pollute the web with. Therefore, you must assume that, when commissioned by disreputable individuals, these reputation restoration firms are not only hiding their clients' dark secrets, but libeling their opponents, whistle blowers, legitimate businessmen, journalists, and others, to undermine their credibility, especially if they have been exposing the reputation restoration firms' dirty clients. This means that you should now establish a policy of obtaining independent verification of negative information on your target, that you have obtained on the Internet, lest you unwittingly perpetrate a lie planted by one of these firms. As the capabilities of these reputation restoration firms expand, compliance officers charged with due diligence must adapt their investigative techniques accordingly, lest they pick up disinformation, and act upon it, to the damage and detriment of their prospective clients, and even their bank. Irene Stay Shannon, the bookkeeper who became the CFO at Rothstein Rosenfeldt Adler, the billion-dollar law firm Ponzi scheme, pled guilty this week to Conspiracy to Defraud the United States, in Federal Court* in Fort Lauderdale, Florida. The defendant, who is apparently cooperating with the United States Attorney's Office, faces a maximum sentence of five years. 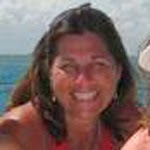 Mrs. Shannon controlled over 40 firm bank accounts, at TD Bank, Gibraltar bank, Colonial Bank, and the former Sterling Bank. her role involved paying off older investors with funds received from newer victims, who believed that they were purchasing interests in legal settlements of employee discrimination, sexual harassment, and other employee claims. In truth and in fact, the lawsuits and confidential settlements did not exist, in a classic Ponzi situation. The documents, including court orders, were all fictitious, or forged. The defendant also participated in a check kiting scheme, where funds were moved from one bank to another, to appear that large accounts existed. Years after Scott Rothstein was sentenced to fifty years for creating a Ponzi scheme that defrauded investors out of their life savings, the legal ax continues to fall upon his confederates and associates, including a handful of lawyers who worked at his firm, or outside it, and who assisted him. *United States vs. Shannon, Case No. : 14-cr-60081-UU (SD FL). HAVE YOU SEEN THIS MAN ? 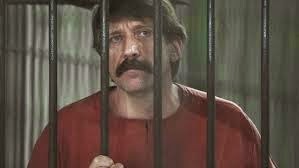 Panamanian law enforcement continue to search for the fugitive convicted fraudster, Okke Ornstein, so that he can begin serving the 28-month sentence imposed upon him in previous cases, and to bring him physically before the court, so that the other cases still pending against him can be tried, but he has a much larger problem. Ornstein, who is wanted by Dutch authorities, is accused of embezzling funds from the Palestinian refugee charity that he raised money for in the Netherlands. An audit reportedly revealed a substantial deficit, and Ornstein was the collector of the funds that were recorded, but never submitted to the charity, which uses it to purchase food, clothing, and shelter for Palestinian refugees made homeless by the Syrian Civil War. I frankly cannot think of a more despicable thing than to steal money intended for refugee relief. The Palestinians, who were displaced due to the fighting in Syria, have been forced to relocate to primitive camps, and exist solely through charitable assistance. It gets worse; the charity is sponsored by Hamas, a Specially-Designated Global Terrorist organization, and you can be sure that agents of that group are actively seeking to recover the missing money, which means they are also looking for Mr. Ornstein in the Republic of Panama. We will continue to follow this case; who will catch up with this career criminal first ? Stay tuned to this blog to find out. 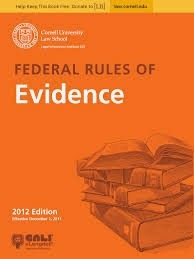 (1) Rule 404(b) evidence was used as the basis for the conviction. 404(b), of the Federal Rules of Evidence allows the US Attorney to introduce evidence of other, uncharged criminal conduct in a case, to prove motive, opportunity and intent, among other elements, The computer seized from co-defendant Viktor Bout reportedly contained evidence of other crimes Chichakli & Bout were involved in. (2) Discovery was improperly withheld; Chichakli states that evidence seized from his residence was not made available to him, to assist in his preparation for trial. (3) There was ineffective assistance of his stand-by counsel. We have previously covered this topic; essentially if you represent yourself, any appointed stand-by counsel's only role is to assist with technical issues, not to try the case. (4) The Court improperly interfered with the jury function, and jury misconduct was "unquestionably proven." Apparently, a note not relevant to the case was passed between two jurors during the proceedings; the Court did not find it material or prejudicial. (5) Al Monica's lay testimony was improperly allowed as expert testimony. (6) Irrelevant evidence was admitted. Note: a report on the Psychiatric evaluation conducted upon the defendant is due to be delivered on the 23rd of May. Though the public will not have access to the report, the Court may take action after reviewing. is Richard Chichakli not competent to assist in his own defense ? The impact of the effect of Iranians arriving in Canada with Kittitian passports, even diplomatic passports, has been, belatedly, felt in the United States. The Financial Crimes Enforcement Network, FINCEN, has published an Advisory* on the passports issued by the Federation of St. Christopher & Nevis through the Citizenship-by-Investment program, stating that they are being employed to facilitate financial crime. 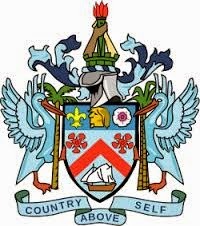 The troubled St. Kitts economic passport program, which I am personally familiar with, has admitted to citizenship individuals who should not have been passed by its compliance unit, and is rumored to require so-called "borderline" applicants to make payments to a certain corrupt government official. Individuals with criminal backgrounds have been accepted, and Iranians have received passports, notwithstanding government promises that it has rendered Iranian nationals ineligible. Remember also, that in St. Kitts, one of the few unreformed offshore financial centers left in the Caribbean; money doesn't just talk there, it swears. Russian organized crime has had a presence for many years, and drug money laundering is still a fact of life. 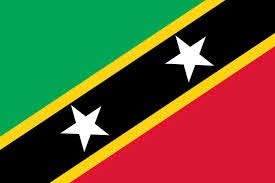 While these facts have been known by many in the compliance industry, and compliance officers have been looking closely at the place of birth on each and every St. Kitts passport for some time, the FinCEN announcement is welcome, as it will serve to alert bankers who are not regularly engaged in Customer Identification Procedure of foreign nationals to the dangers posed by economic passports. It also serves to remind us that all economic passport programs, from any country, can be exploited by financial criminals, either through access to genuine identity documents of others, or corrupt payments to government officials. Always ask for supplemental government-issued identification, and check the place of birth on all documents, to ascertain whether the holder has an economic passport, or is a naturalized citizen, both of which are red flags for compliance. Christina Kitterman, an associate at Scott Rothstein's Ponzi scheme Fort Lauderdale law firm, who made a deceptive telephone call to investors, posing as local staff counsel for the Florida Bar, has been sentenced to five years in Federal Prison. The defendant convinced investors that the Bar was the reason Rothstein was unable to disburse "profits" to the investor/victims, this perpetuating the scam for an additional six months. This was her sole involvement in the scheme, and she received no additional compensation for this act, though she reportedly held a $140,000/year position at Rothstein Rosenfeldt Adler. Kitterman's guidelines sentence was 3-4 years, but the Court found that she she had committed perjury on the stand, and departed above the advisory guidelines. It also had her taken into custody immediately after the hearing, to begin serving her sentence. This is the second time that a District Judge has taken such an action against a lawyer convicted in the Rothstein scandal, which is unusual when attorneys receive relatively short sentences; it appears that the Court is seeking to send a message to the legal community about participation in Ponzi schemes. Scott Rothstein himself is serving a 50-year sentence at an undisclosed location, and his reported misconduct and perjury post-sentencing may have resulted in the loss of an opportunity for a sentence reduction. If you have been reading, on this blog, how Paraguas Books, a Panamanian company operated by fugitive Dutch fraudster Okke Ornstein, took money from aspiring writers, and then failed to publish any of their works, the company is now defunct, but it has been succeeded by Changemaker Communications, which is asking readers to send in up to $10,000, for web design, book publishing, or the deliberately vague "copywriting and storytelling strategies." Mr. Ornstein, who appears on the site as the Strategist--at-Large, is selling old wine in new bottles, and anyone who is not familiar with his six criminal convictions, and pending prison term, will become another victim. The site was built by Kimberlyn David, who is Ornstein's partner in the venture, but the scheme is pure Ornstein. I have not seen any evidence of any work produced by this company, for the simple reason that the company is a shell; You have been warned. While the indictment of Swiss banking giant, Credit Suisse, is welcomed as long overdue, the Attorney General's failure to charged senior bank staff, and the directors, is a disappointment. The culture at the bank has, for decades, invited American tax cheats, and who knows how many financial criminals posing as garden-variety tax evaders, to covertly bank there. Unless the senior management, and the fat-cat directors, actually are charged with felonies, the problem will remain; greedy foreign bankers accept the risks, due to the obscene profits. Actually, the only bright spot in the case, aside from the criminal charge of the bank, was the report that Credit Suisse will have to terminate those bakers who are currently under indictment in the US, and stop paying their salaries. 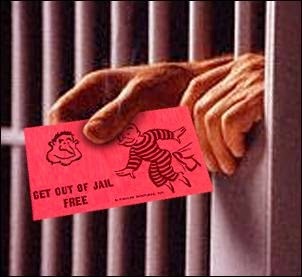 The trump card, a review of the bank's charter, for the death penalty, apparently will not occur, at least in New York, where the state regulator has admitted that there will be no action taken for charter revocation there. A pity; only radical moves will stop the world's banks from playing cat-and-mouse with US laws and regulations. Am I unhappy about the case ? Yes and no; I will only clap my hands when the other foreign banks engaged in tax evasion facilitation of US nationals, and money laundering, are charged as well. Chinese nationals who live in the area of the frontier with Vietnam are reporting large movements of troops, with combat gear, to the border. 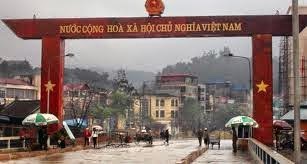 Violent Vietnamese anti-China demonstrations, at Chinese-owned factories, and the beating of Chinese workers, has caused an exodus of Chinese nationals from Vietnam. Under the circumstances, compliance officers charged with assessment of Country Risk for Asian nations should strongly increasing it at this time for both China and Vietnam. China's bullying actions in the disputed South China Sea territories is deeply resented by Vietnam. Remember, Country Risk is not just about business investment risk; nervous criminal organizations tend to accelerate capital flight of criminal proceeds when conditions deteriorate in the countries where they operate, and terrorist financiers often take advantage of domestic chaos to move funds that facilitate terrorist operations. Bearing in mind that China and Vietnam went to war on what are now regarded as less serious issues, you will want to watch this matter closely, especially if your clients have financial exposure in either country. Yes, I have advised compliance officers that the proliferation of so-called reputation damage restoration firms, which pollute the Internet with fluff about their clients, to defeat your due diligence inquiry, has rendered your search engine activities problematic. It is becoming a real problem, and the companies involved are generally not people you want to meet in a dark alley. The most prominent "reputation restorer," who works in Caracas, served seven months in an American penal institution, for hacking into a Department of Defense website*, and was later deported, is Rafael Nuñez-Aponte, a/k/a/ RaFa, who specializes in cleaning up the negative information of corrupt Venezuelan PEPs. His "information laundering" activities are believed to be presently under active investigation by US law enforcement, who reportedly is looking at a number of prominent Venezuelans who are using his "services" to hide articles detailing their money laundering, drug trafficking, and other criminal activities. 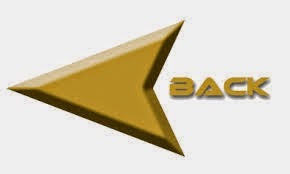 (1) Since search engine reputation damage firms work on the theory that most compliance officers, knowing that the results are arranged by relevance, will not look past the first page or two, turn the tables on them. Start your search at the LAST PAGE of the search engine results you have displayed before you. The reputation management firm operates on the premise that it must clog the initial pages, with results that have a high relevance, go to the dead lat entry, and work backwards. Only then will you find that elusive negative entry about your target, that the damage restoration firm is trying so hard to find. The company cannot eliminate the negative information about its client, so they attempt to bury it, leaving the tail end open for your web exploration. Start at the end, and work towards the front. if there is any relevant negative web information, you will run right into it in your search, providing you use my strategy. (2) Use a search engine that employs algorithms that searches primarily for negative information, not the names of the violators. I use Check for Risk, which avoids returning most of the Internet fluff and garbage placed there by the reputation damage firms. The Check for Risk logo at the top of the page will assist you, if you wish further information; simply click on the logo. (3) If you have access to non-public information sources, it is humbly suggested that you contact them to verify the negative information you do retrieve. Always be able to show that your information has been verified by at least one additional source. Use these techniques as a work-around, to get the negative information on your target, without getting lost in the maze of web pages created by the reputation restoration company. * Nuñez-Aponte was also believed to have stolen national security information from a NASA computer, as well as taken proprietary information from private corporations' websites. 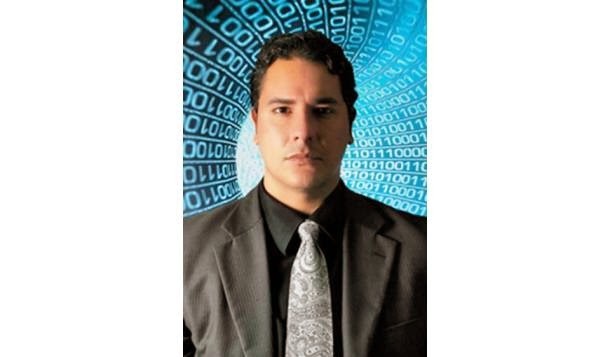 A frequent visitor to Panama, he was part of the "dirty tricks" group of hackers hired by Panama's President Ricardo Martinelli. The Dutch child pornographer-turned white collar criminal, Okke Ornstein, will be tried in absentia in Panama, in his next three criminal cases, since he has twice failed to attend his scheduled trials. If Ornstein ever does show up, he will be immediately imprisoned, so that he can commence the existing 28 month sentence he already owes the Republic of Panama, so it is extremely doubtful that he will ever willingly appear for court. He has nine different criminal cases pending against him; some have resulted in the outstanding sentences, others are still awaiting trial; He is believed to be in hiding. An arrest warrant has been issued for Panama's most notorious fugitive, allowing local law enforcement to literally take him off the street, should he be found. Ornstein recently abruptly closed down his latest scam, a bogus book publishing "venture," Paraguas Books, where he allegedly took money from aspiring writers, but failed to produce and publish a single volume. Anyone who performed even the most minimal due diligence on Ornstein would have found sufficient negative information to cause them to give him a wide berth. Ornstein is also reportedly the subject of an arrest warrant in the EU, for embezzling charitable receipts intended for a Dutch-based Palestinian refugee charity. Since the charity is a known terrorist fundraising front for Hamas, the specially-designated global terrorist group, he may not be afforded due process, should Hamas catch up with him before EU, or Panamanian law enforcement, do. Readers who are wondering why I devote articles to this individual; he has taken to publish some quite unkind things about the undersigned on the 'web, ever since I disclosed that he was the general manager for the Ponzi schemer, Marc Harris, and I think that it is in everyone's best interest to take this career criminal, and place him where he can no longer defraud expats living in Panama. Apparently, he does not like it when his white collar crimes are reported. (1) The Philippines has advised that China is building an airfield on disputed territory in the South China Sea. The location, which was once the scene of a bloody battle between Chinese forces, and Vietnam, is contested, and this new action will only further alienate China's neighbors. businesses were destroyed, and Chinese nationals assaulted. 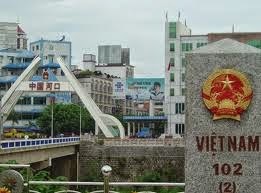 A large number of Chinese are now leaving Vietnam. 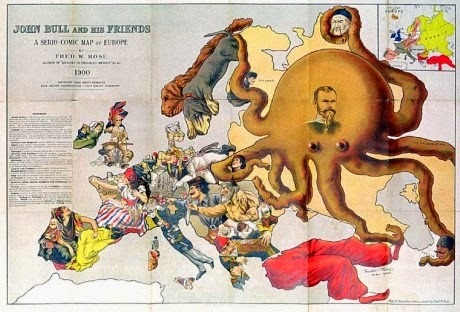 Readers who are charged with the assessment of Country Risk should remember their history. Vietnam, which fought a brief, inconclusive frontier war with China in 1979, has a long history of opposing external forces, and nationalist sentiment there has increased of late, due to what is regarded as Chinese meddling in Vietnamese territory. 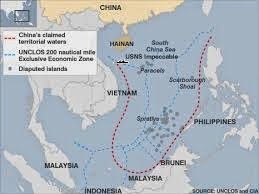 The Philippines is still smarting over Chinese actions, uncomfortably near its shoes, and wholly within its EEZ. The Chinese economy, which is already having minor problems, could nose-dive if China actually gets into a shooting war, and some countries ban Chinese-made goods; Watch this region closely. WILL PANAMANIAN MONEY LAUNDERERS BECOME AN ENDANGERED SPECIES ? (1) A well-known Panama-based money laundering operation has been sanctioned by OFAC, and the principals arrested in Panama City. They are linked to narcotics trafficking, as well as the old Lebanese-Canadian Bank case. (2) Panama is about to have a new president, and he has made no bones about cleaning house, regarding both corruption, and financial crime, in government. (3) Literally all the sitting ministers, many of whom are now barred from visiting the United States, will be terminated by the new administration. (4) Outgoing President Ricardo Martinelli, linked to a number of the usual suspects, including imprisoned master Ponzi schemer David Guzmán, should be leaving Panama shortly, as he is facing a corruption indictment in Italy, where he holds dual citizenship. 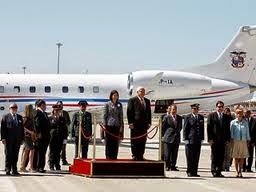 (5) The deteriorating economic situation in Venezuela should decrease the amount of "flight capital." meaning money looting from the governmental treasury, should decline. (6) Panamanians, and resident expats, are frankly, sick of the money laundering and corruption. The question remains: will the country now choose reform over corruption, and a banking best practices approach to AML/CFT, rather than the "Wild West" form of banking that pervades the financial structure ? Only time will tell. Convicted criminals who are about to face the strong arm of justice have been known to do desperate things. In the Republic of Panama, a first offender convicted of a crime can petition the court for Clemency, to avoid prison, and to have his conviction expunged; Panama's most prolific white-collar criminal, Okke Ornstein, recently had his attorneys make such a filing. 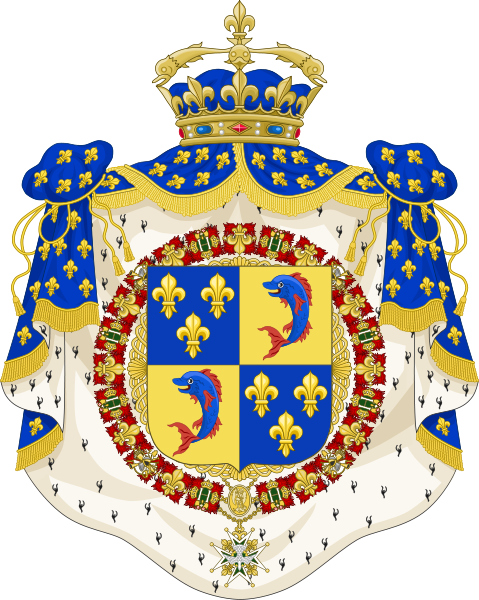 I believe that such a move was only filed for the purposes of delay, as pending efforts to arrest fugitives, like Ornstein, result in a temporary suspension of arrest efforts, and Ornstein was wanted by the authorities, being a fugitive who had failed to surrender, to begin serving a number of prison sentences already meted out to him in Panama. He also faces a number of pending felony charges which have not yet gone to trial. The defendant, as expected, ruled that he did not qualify for Clemency, due to the fact that he had several unspent criminal convictions; in truth and in fact, he has a carload of convictions, as well as a five million dollar judgment on record. The judge has ordered him taken into custody forthwith, and renewed the arrest order. Additionally, the defendant is wanted in the European Union, on multiple grand theft charges. Apparently, he stole charitable receipts, money that belonged to a Palestinian charity operating in the Netherlands. There is yet another issue: the charity is said to be a known front for Hamas, and Hamas agents have been looking for Mr. Ornstein, whose present whereabouts are unknown, for some time. He is thought to be in hiding in Panama. Who will apprehend this career criminal first: Panamanian law enforcement, or terrorist agents ? Caribbean Transfers, Ltd., a Canada-based remittance-to-Cuba company, whose owner is facing money laundering conspiracy charges in the United States, for $30m in alleged medicare fraud transfers, has responded to the allegations, and attempted to deflect blame upon those Miami financial institutions that facilitated the massive flow of criminal proceeds into government-owned banks in Cuba, while denying liability. The MSB, which has since "rebranded' itself as www.123envialo.com , also struck out at Miami media reports on the case, which involved the illicit transfer of Medicare fraud proceeds, from Miami, to accounts at Royal Bank of Canada in Montreal, on to shell companies in Canada and Trinidad, and finally into government-controlled banks in Cuba. The most notorious aspect of the case was the physical transport of twenty boxes, full of money orders, reportedly all obtained in Miami, to the MSB in Canada. One wonders how the compliance officers at the Miami sources for all those millions of dollars in money orders have explained their professional negligence, otherwise known as malpractice, to law enforcement and regulators. "The stories begin at the beginning, and in the beginning, it is the Miami banks that handled the 70 accounts of Medicare fraudsters." "Our company is not a US company, has no office, nor has any assets in that country, so it is absurd to think that one can buy 20 boxes of money orders, and send them to Cuba." "The unjust accusation against our management is conspiracy to launder money. The charged of conspiracy to launder money is unfounded." "Those who buy bank drafts are US citizens who want to send remittances to Cuba." "willful blindness is a contagious disease in Miami." "Money laundering is in Miami, not in Cuba." I am at a loss to explain how the Canadian Government, having certainly been advised by US law enforcement agencies of the massive movement of criminal proceeds, in US dollars, into Cuba, did not immediately shut down Caribbean Transfers. I am also questioning the sound judgment of the bankers and compliance officers who watched this flood of US Dollars pass through their hands, with nary a whisper to the RCMP. Was it the lucrative fees earned by the bank ? I give the banks in both Miami and in Canada a compliance grade of "F" for utter failure. no wonder Miami has now become the Medicare fraud capital of the United States. A Buenos Aires travel agency that incorporated in Delaware, to evade taxes in Argentina, has now drawn a $2.8m fine from OFAC. It seems that a small portion of the firm's business was selling trips to Cuba. The fact that it was a corporation organized in the US gave OFAC jurisdiction, and it received this large civil penalty for violating sanctions on place against doing business with Cuba. Though not specifically named in the Treasury notice, it appears that the company received erroneous legal advice, to the effect that it had no liability to OFAC. One wonders if it will now sue its law firm for malpractice. HOW WILL EU RULING ON REMOVAL OF PERSONAL DATA FROM GOOGLE AFFECT DUE DILIGENCE ? 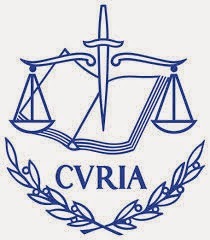 The Court of Justice of the European Union, in a major ruling*, has held that EU nationals have the right to have "irrelevant or outdated" information about themselves deleted from search engine results. While the Court appeared to strike a "fair balance" between the public's right to access, and the individual's right to privacy and data protection, this position, if it stands, could seriously impact the ability of compliance officers conducting due diligence. The case turned on a nineteen-year old negative news article about a Spanish national, available on Google. What the Court has done here is give individuals a "Right to be Forgotten," which means that negative information that someone does not want subject to access, via a search engine, can be ordered deleted. This poses a serious problem for compliance officers seeking the truth about a target. Some commentators are already stating that it amounts to domestic censorship, as is currently practiced in China. How can a compliance officer certify that his or her investigation failed to turn up any significant negative information about a prospective bank customer in the European Union ? It is bad enough that we have to deal with regimes in the developing world interfering with the free flow of domestic information, but if this ruling results in the wholesale deletion of important negative data about EU nationals, then Country Risk for members of the European Union will take on a whole new function, and it will not be positive. Let us hope that this decision, which raises individual preferences on data about themselves to an entirely new plane, will not be widely adopted. * Google Spain SL et al vs. Agencia Española de Protección de Datos, Case No. C-131/12, Document No. : G212CJ0131. SWISS GOVERNMENT UNHAPPY WITH THIS BLOG ? 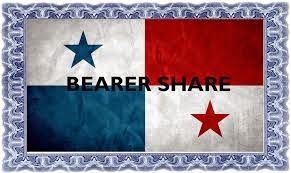 ARE YOU BANKING ANY CORRUPT PANAMANIAN PEPS ?